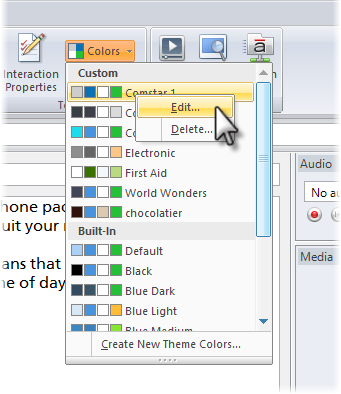 Articulate Engage makes it easy to change the theme colors in an interaction. Use any of the predefined theme colors, or create your own. Go to the first tab on the Engage ribbon (its name corresponds to the type of interaction you're building). 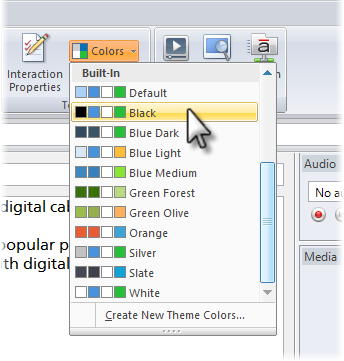 Click the Colors drop-down, and choose one of the theme colors. Make a selection from the Theme colors drop-down. You can also change the color of the header bar in your interaction by selecting one of the options from the Header type drop-down. To hide the header bar altogether, choose None. To change the colors used for the Light and Dark schemes, see the following sections of this tutorial. 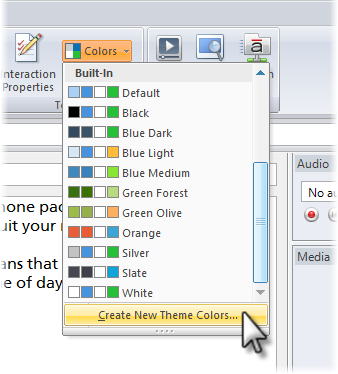 Click the Colors drop-down, and choose the theme colors on which you want to base your new custom theme. 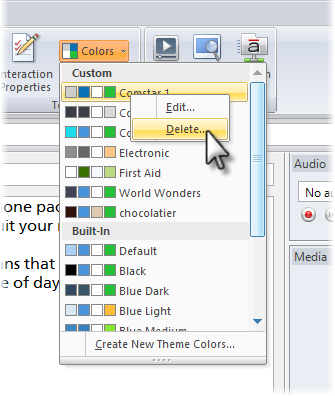 Click the Colors drop-down again, and choose Create New Theme Colors at the bottom of the list. 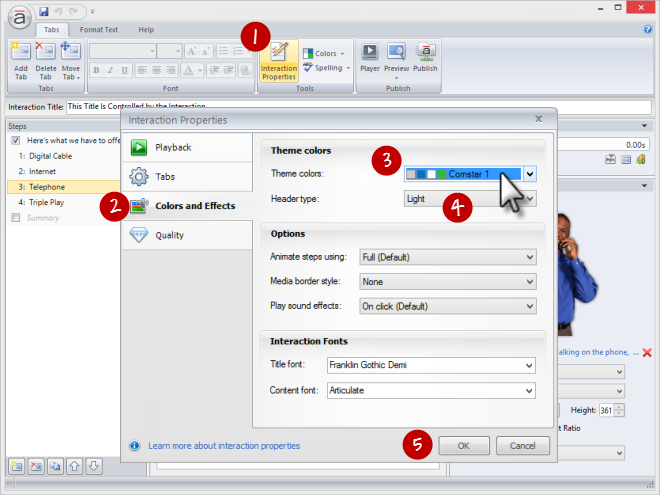 When the color editor appears, use the color selectors to assemble your theme colors. 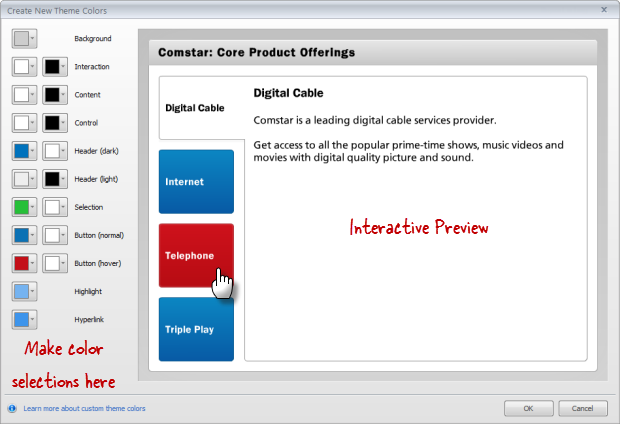 The interactive preview area on the right side of the window will dynamically update as you make your color selections. Assign a name to your custom theme colors when prompted, and click OK.
Go to the first tab on the Engage ribbon (its name corresponds to the type of interaction you're building), and click the Colors drop-down. When the color editor appears, use the color selectors to edit your theme colors. The interactive preview area on the right side of the window will dynamically update as you make your color selections. Click OK to save your changes and close the color editor. Click Yes to confirm your deletion request.